This is the one! 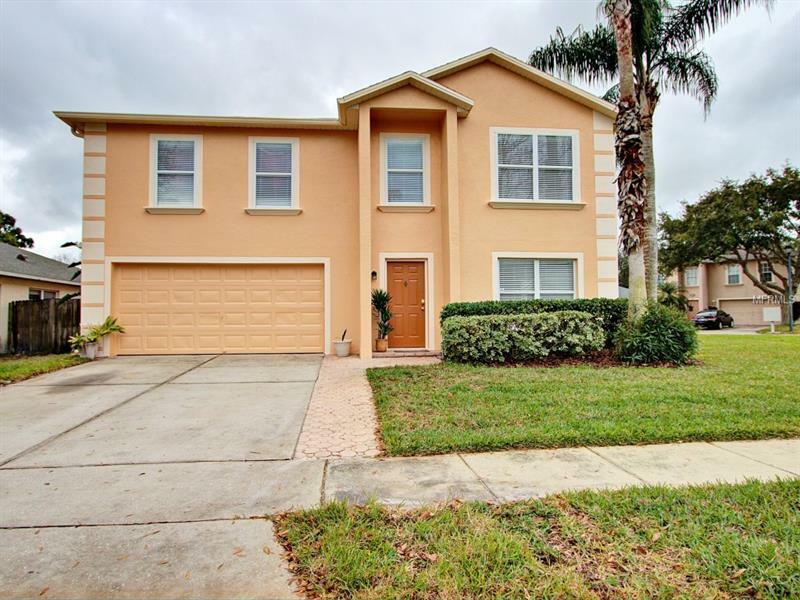 ... a spectacular 4 bedroom pool home in desirable Waverlee Woods Oviedo - **SEE 3D VIRTUAL TOUR** - and zoned for A-rated K-12 schools. This immaculate freshly painted home is over 2400 square feet under air and features a spacious floor plan and luxurious paver patio with screened pool and the ultimate in privacy. Perfect for entertaining or a large family this 4 bedroom 2.5 bathroom home features both a living room and family room on the first floor a large dining area and plenty of patio space ... plus it is on an oversized lot with plenty of yard and the home backs up to the HOA's playground (which is behind the privacy fence of course). The amazing master suite features an oversized 21'x19' bedroom double vanities garden tub and shower in the bathroom and a large walk-in closet. The roof is a mere 3 years old water heater is 2 years old extra insulation was added to the attic in 2014 and the fence was installed 2 years ago. The home is also convenient to the new Oviedo downtown (Oviedo at the Park) UCF Seminole State Alafaya Trail Oviedo Mall Oviedo Sports Complex and Oviedo Aquatic Center. Appointments for showings are easy to schedule.